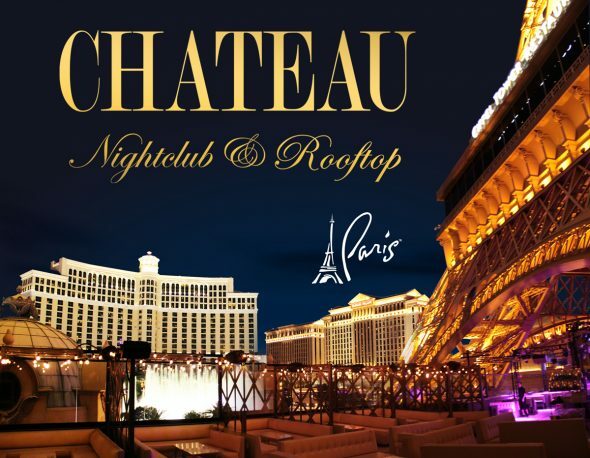 Chateau Nightclub & Rooftop is located at Paris Las Vegas at 3655 Las Vegas Boulevard South. Spanning more than 45,000 square feet. 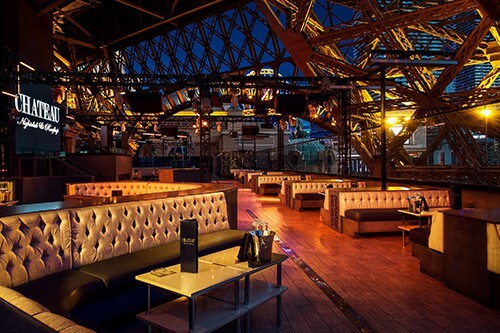 Chateau features a high-energy nightclub experience and magnificent Strip-side Chateau Rooftop view. Chateau Rooftop brings forth an unparalleled outdoor nightlife experience. 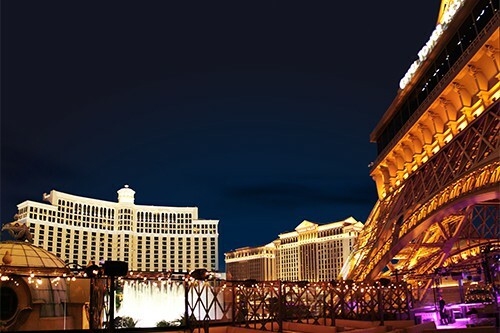 Located under the Eiffel Tower on the rooftop of the indoor nightclub, overlooking the spectacular Fountains and reminiscent of a lush garden in Versailles, Chateau Rooftop spans 22,000 square feet in an unparalleled setting beneath the stars. Featuring a lavish rooftop garden, blossoming greenery and lush cabanas, the picturesque nightspot offers a full nightclub experience with an exciting rooftop dance floor, high-energy lighting, VIP bottle service and panoramic views from high above the Vegas skyline. Free Vegas Club Passes has all the info you need to make your night unforgettable: Chateau Nightclub is open Wednesday, Friday and Saturday nights from 10:30 p.m. to close. Chateau Wednesdays, the nightclub’s industry night, offers complimentary guest list admission to locals with ID on Wednesday nights.. Dress code is strictly enforced. For table reservations and VIP bottle service, guests may call 702.215.club or email Team@freevegasclubpasses.com .